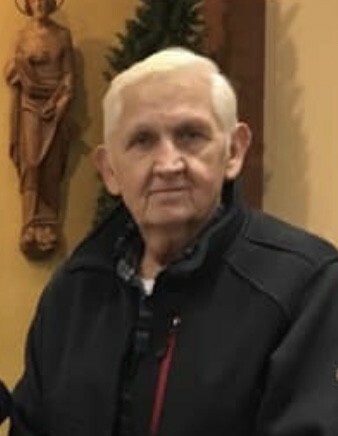 Harry David Conklin of Napanoch, NY, passed away on Sunday, April 14, 2019 at Ellenville Regional Hospital. He was 67 years old. Harry was born on August 13, 1951 in Ellenville; the son of the late Melvin and Sarah (Towne) Conklin. Harry was a jack of all trades. He was always tinkering whether it was working on cars or building something. In addition to his wife and his parents, Harry was predeceased by his son Wilson Cyr; his brother, Edward McFarland and his sisters, Alice Ealston and Margaret Rider. Surviving are his children, George Conklin, Pat, Bonnie and Danny Cyr and Honey Sue; his sisters, Elizabeth Startup and Susan Conklin; grandchildren, Thomas Miller, Kevin Cyr and Alex Cyr; great grandson, Dominic as well as several grandchildren, nieces and nephews. Visiting will be held on Friday, April 19th from 10:00am to 12:00pm with a Celebration of his life beginning at 11:30am at Loucks Funeral Home, 79 N. Main St., Ellenville. Burial will take place in Fantinekill Cemetery.